Joachim Drees, CEO of MAN Truck & Bus was alongside 60 speakers including ministers, CEOs and thought leaders at the inaugural IRU World Congress held in Oman. Over 1000 delegates from over 100 countries convened in Muscat on November 6th till 8th at the Oman Convention & Exhibition Centre to discuss challenges surrounding the transport, mobility and logistics industry. 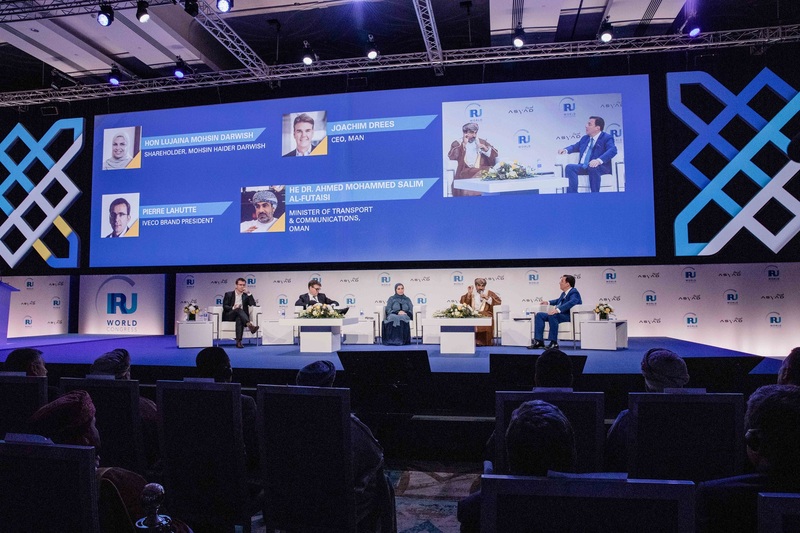 Through a series of sessions, industry leaders and innovators tackled impactful themes at the forefront of the industry’s concerns, centered around themes such as automation, innovation and trade connectivity. Mr. Drees spoke alongside leaders such as Steffen Bilger, State Secretary for Ministry of Transport and Digital Infrastructure, Germany and Dr. Ahmed Mohammed Al Futaisi, Minister of Transport and Communications for Oman. “We are delighted to be a part of the inaugural edition of the IRU World Congress series. This is a unique opportunity to initiate a dialogue not only focus on CO2 emissions, a colossal challenge for our industry and countries, but also address the importance of placing a focus on the people at the heart of the road transport industry.” said Mr. Drees. MAN Truck & Bus are committed to more sustainable practices and unveiled a fully-electric version of the instantly recognizable MAN Lion’s City bus, the low floor, low entry public transportation bus. The fully electric version can sustain a range of up to 270 kilometers and can be charged in just three hours. In addition, the electric eTGE van was introduced as the perfect vehicle for urban transportation needs, offering a load capacity of up to 1.75 tons as well as a range of up to 160 kilometers. Referring to the innovative technology, Mr. Drees affirmed a commitment to provide complete transport solutions that simplify the life of drivers, dispatchers and carriers. This visit to Oman marks Mr. Drees’ second visit in the Middle East this year, the first being to Kuwait where he inaugurated the new 16,000sqms facility for MAN trucks located in the heart of the commercial business district of Kuwait. Since 2015, Joachim Drees holds the position of CEO at MAN SE and MAN Truck & Bus AG. A veteran of the transport industry, Joachim had previously held positions at Daimler Truck Group, Mercedes-Benz Trucks and Gaggenau Transmissions. Presently, he is Chairman of the Commercial Vehicle Board of Directors of the European Automobile Manufacturers’ Association (ACEA). He is also a member of the Executive Board of TRATON AG (formerly Volkswagen Truck & Bus AG). 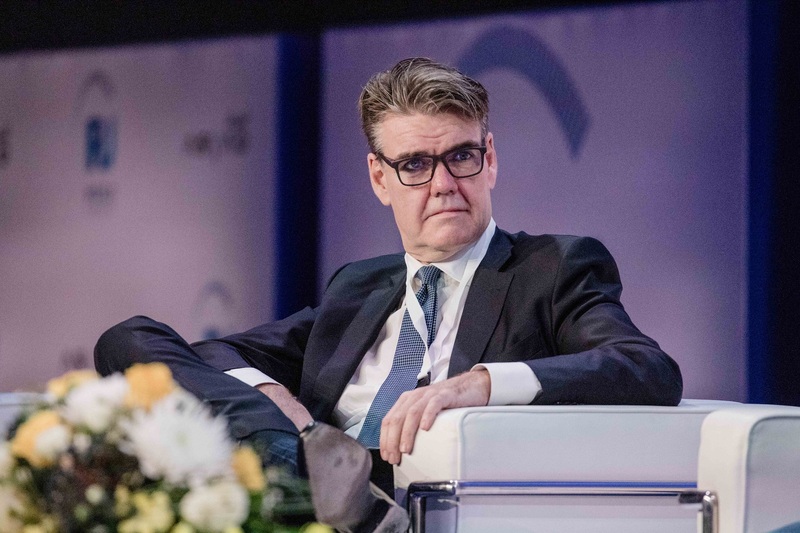 Joachim Drees, CEO of MAN, at RU World Congress in Muscat, Oman. From left to right: Joachim Drees during the plenary session at IRU World Congress at Oman Convention & Exhibition Centre in Muscat, Oman.